This place way exceeded my expectation; it is somewhere between a hotel and holiday resort..location absolutely marvelous being 7-8 min to Taxim Sq yet also with superb water views; calm and safe as well. Staff young but eager to help and all with big (and genuine) smiles. They showed me the units with private terraces that has patio furnitures and gazebo style tents..never seen anything like that in this city. Well recommended! I was amazed how these people take care of their customers on an individual basis (during my short stay, I knew almost everybody including the bell boy and the owner-manager and they approached themselves very elegantly). Location on sea shores of Golden Horn, part of Bosphorus but very close to Taxim Sq the hub yet extremely calm, full of greens - there is a nice park just in front by the water- and safe. I asked to see their room with private terrace which was simply stunning. Huge and private terrace with tasteful patio furniture and a sun tent with teak dining table; incredible set up just in gront of rowers and boats and people picknicking by the water at sun set. Amazing! Spacious apartments at this hotel are a perfect solution for large groups. We are a large family with children and this hotel was perfect for us. Staff are very helpful in this place. Nice & spacious room, love the breakfast terrace so much. Only one restaurant nearby, not much within walking distance. Good for rest & relax. The spacious hotel apartments are perfect for large family vacations. Our apartments had 6 bedrooms with 6 bathrooms in addition to a kitchen. Staff are attentive, view is nice, and price is reasonable. Room service food is good. Fantastic spacious room. Very clean. 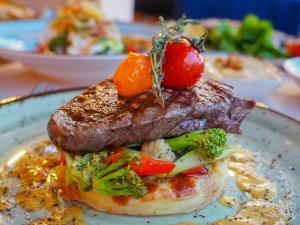 It's location is in a scenic part of Istanbul, away from the busy centre. One can walk alongside the green banks of the river. Walking distance from miniaturk attraction. Car park space. Very good value for money. The hotel setting is very nice, the staff, the design, the location & the music - its all fine. The view at the roof top restaurant is superb. Location is very close to the Halic Congress Centre - only 15 minutes walk. Staffs are very polite and helpful. One of our top picks in Istanbul.Featuring free WiFi and a restaurant, Terrace Suites Istanbul offers accommodations in Istanbul. The hotel has an outdoor dining area and seating area. Guests can enjoy a drink or a dessert at the café in the courtyard with a sunroof. Every room at this hotel is air conditioned and comes with an LCD TV with satellite channels. You will find an electric kettle with tea and coffee setup in the room. Every room has a private bathroom. Certain rooms come with a private terrace and outdoor furniture.Some rooms are connected by a door and offer a kitchen with a fridge, stovetop, washer dryer and a microwave. Guests can benefit from fitness center. There is a 24-hour front desk at the property. Free private parking is also available at this hotel. Halic Congress Center is 0.6 mi from Terrace Suites Istanbul, while Eyup Sultan Mosque is 0.9 mi from the property. Taksim Square is located 4.8 mi away. The nearest airport is Ataturk Airport, 8.7 mi from Terrace Suites Istanbul. Istanbul Airport is within 29 mi. 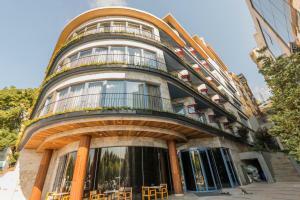 When would you like to stay at Terrace Suites Istanbul? 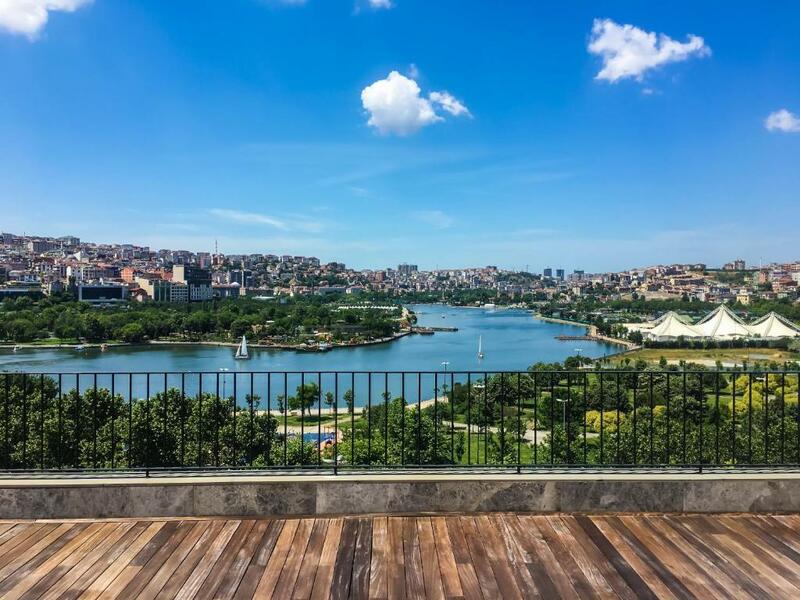 This family room features a balcony with table and two chairs, partial views of Golden Horn. 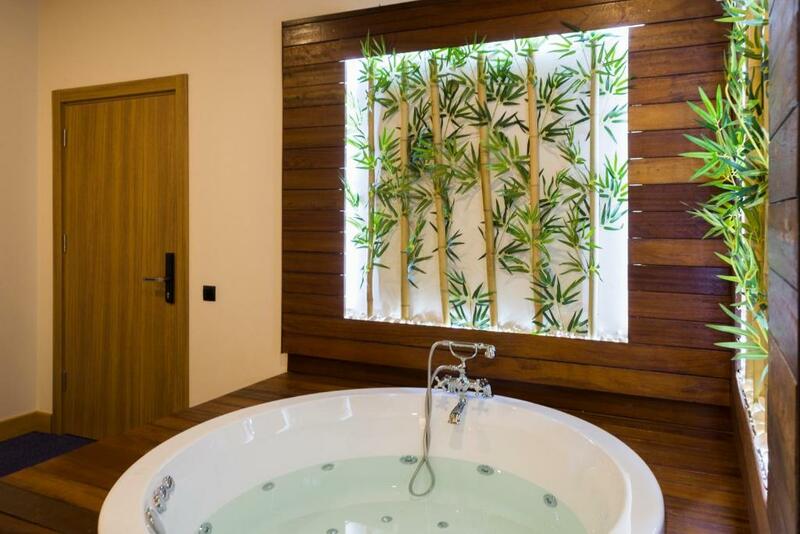 It offers self-controlled air conditioning and heating, mini-bar and bathroom with rain shower. 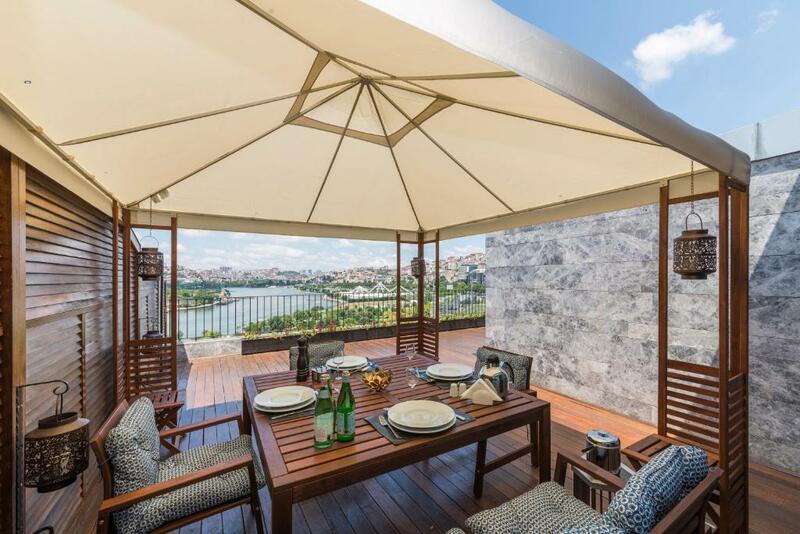 Offering a terrace with parasols and dining area, this room features view of Golden Horn. It has self-controlled air conditioning and heating, mini-bar and a bathroom with rain shower. 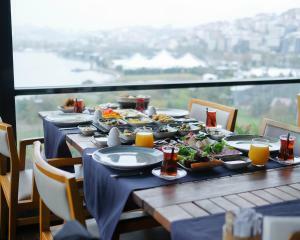 Combining 10 rooms on the same floor, this accommodations offers full and partial view of Golden Horn in certain rooms. Guests can control air conditioning and heating. The units come with a mini-bar and bathroom with rain shower. This triple room features self-controlled air conditioning and heating as well as inner-courtyard view. It includes a mini-bar and a bathroom with rain shower. Combining 4 suites through a door in the hall for further privacy by separating them from other rooms, this accommodations come with a large terrace and full view of Golden Horn in three rooms and partial Golden horn view in one rooms. It features self-controlled air conditioning and heating as well as a mini-bar and bathroom with rain shower. 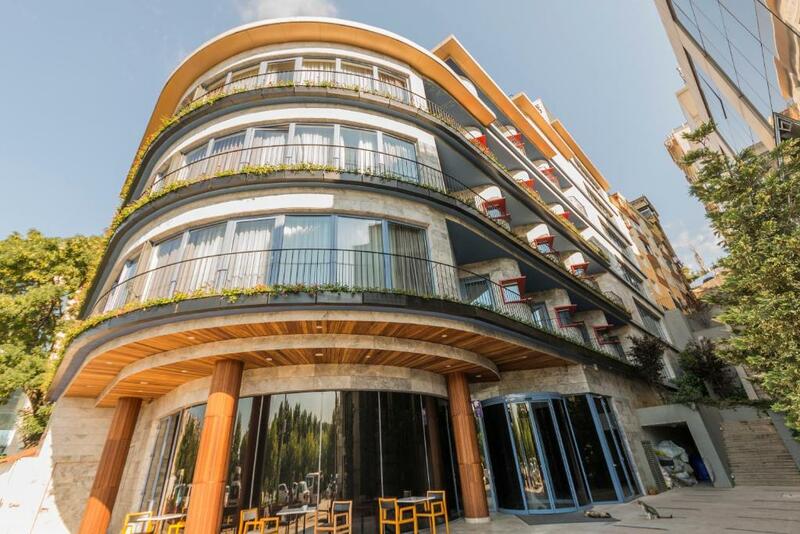 Combining two suites, this accommodations comes with two large terraces with parasols, outdoor dining & seating area and view of Golden Horn. It features self-controlled air conditioning and heating, mini-bar and bathroom with rain shower. 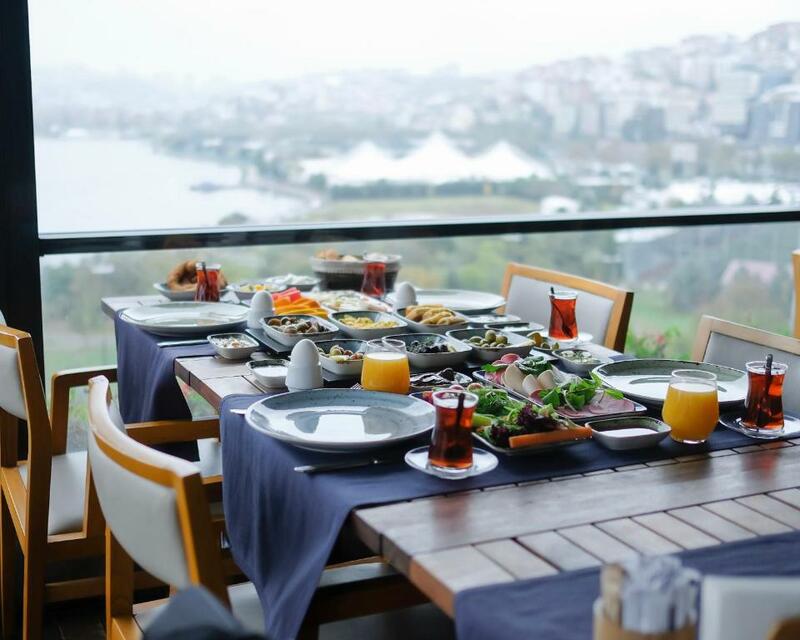 Guests can enjoy full views of Golden Horn. Both the air conditioning and heating units are self-controlled. There also is a mini-bar in the room. The bathroom comes with a rain shower. It comes with a large double bed and an optional single bed. Offering a inner-courtyard view, this room comes with a self-controlled air conditioning and heating, mini-bar and a bathroom with rain shower. Offering garden view, this room comes with a self-controlled air conditioning and heating, mini-bar and a bathroom with rain shower. 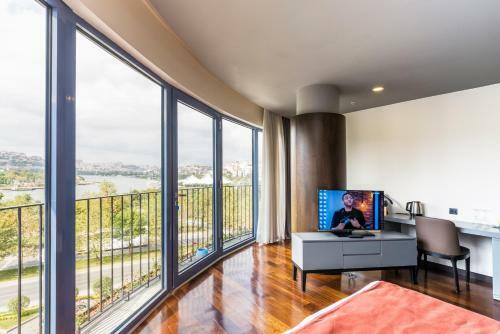 Combining 3 rooms through a door in the hall for further privacy by separating them from other rooms, this accommodations comes with a large terrace and full views of Golden Horn in all rooms. All 3 rooms are also interconnected. There is a full kitchen complete with a stove top, microwave, toaster, kettle, refrigerator and cooking pots and pans. It also features self-controlled air conditioning and heating as well as a bathroom with rain shower. This 4-bedroom apartment has 3 bedrooms with full sea views and 1 bedroom with partial sea view and a small balcony. Each bedroom has a flat-screen TV and an private bathroom. The living room has a dining table and a flat-screen TV. 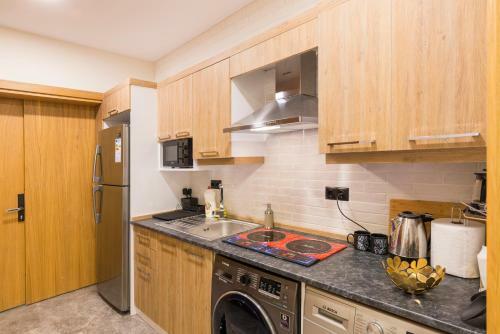 The kitchenette comes with a refrigerator, microwave, washer-dryer, oven and kitchenware. This 6-bedroom apartment has 3 bedrooms with full sea views and 1 bedroom with partial sea view and a small balcony and 2 bedrooms with courtyard view. Each bedroom has a flat-screen TV and an private bathroom. The living room has a dining table and a flat-screen TV. The kitchenette comes with a refrigerator, microwave, washer-dryer, oven and kitchenware. This 3-bedroom apartment has 3 bedrooms with full sea views. Each bedroom has a flat-screen TV and an private bathroom with rain shower. The living room has a dining table and a flat-screen TV. The kitchenette comes with a full size refrigerator, microwave, washer-dryer, stove top burner and kitchenware. This family room features a kitchenware, air conditioning and electric kettle. This family room has a sea view, mini-bar and electric kettle. This connected room has inner-courtyard views and are connected between each other via a door inside. It features a kitchen full with a stovetop, a microwave, a washer-dryer, a toaster, an electric kettle, a full size refrigerator and kitchenware. Each room has a flat-screen TV and an private bathroom with rain shower. It features self controlled air conditioning and heaters. This room with inner-courtyard view features a fully-equipped with a stovetop, a microwave, a washer-dryer a toaster, an electric kettle, a full size fridge and kitchenware. It has a flat-screen TV and an private bathroom with rain shower. It features self controlled air-conditioning and heaters. This twin/double room features a electric kettle, spa bath and mini-bar. The Golden Horn, or Haliç in Turkish, is a horn-shaped fyord on the European side of Istanbul and is fed by two small streams. It is a natural harbor where Byzantine and Ottoman fleet and commercial ships were anchored. Today, it's surrounded by parks and promenades with ancient sites around it. Its name comes from the color of the water when at sunset it shines with a gold color because of the reflection of the sun.